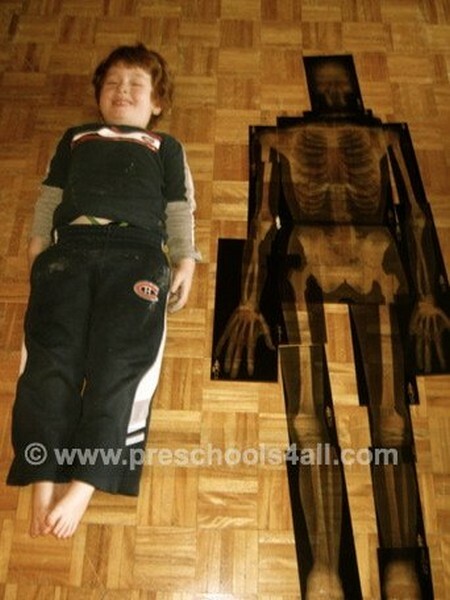 There are lots of preschool lesson ideas about the body and the five senses. Our bodies are a remarkable creation. We use them without even realizing how well they function on auto pilot. 1. Our bodies were created with wisdom. 2. We are grateful for our bodies. 3. We take care of our bodies by eating healthy foods, sleeping and exercising. 4. Our bodies are made out of external parts and internal parts. 5. Each body part has a function and plays a significant role. 6. Our senses help us discover and understand the world around us. 1. What does our body require to be healthy? 2. How are our bodies different from one another? How are they similar? 3. What are the functions of specific body parts? 4. How do we use the five senses to learn about the world around us? 1. An optometrist office - Children can explore the importance of being able to see. 2. Florist Store - Put fresh flower and fake flowers. Which senses do you use to distinguish between the two? 3. Hospital - Place a medical kit with bandages, band aids and a stethoscope along with a doctor costume. 4. Dress Up - Place a variety of clothes made out of different textures. Let the children feel the materials and enjoy dressing up. 1. Clay and Play Dough - For developing their sense of touch. 2. Finger Paint - Playing with paint can be relaxing and fun while using our sense of touch. 3. 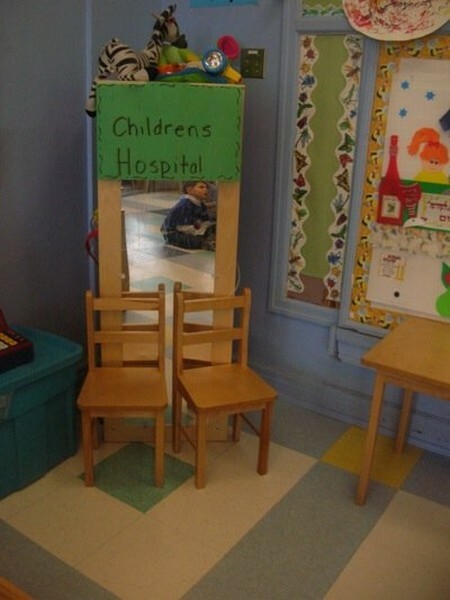 Safety Mirrors - Encourage the children to draw a self portrait. 4. Q-Tip Skeleton - A great activity that helps explore our bones. When I made goop with my son he said: "It's dirty time." Most children love to get messy but we are too afraid to let them. 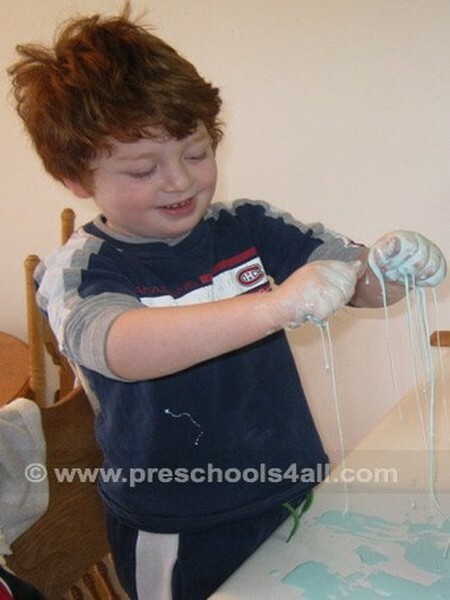 Allow the children to play with the goop and explore it's properties. Write the names of the body parts on flash cards. Let the children sight read them and copy them to a paper. Drumbeats: Beat a hand drum or a tom-tom, asking the children to walk with the drumbeats. Fast beats - Quick steps. Slow beats - Slow steps. Loud beats - Giant steps. Soft beats - Baby steps.